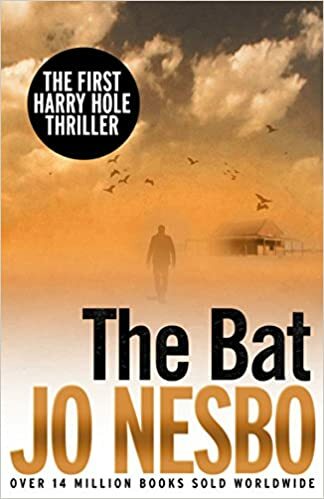 The Bat is the first of the Harry Hole novels, by Nowegian writer Jo Nesbo. There are currently thirteen published novels following the detective one of which has been made, albeit very poorly, into a movie. The Snowman, based on the novel of the same title, came out in cinemas in 2017 with Michael Fassbender playing the lead character. I have to say that, after reading The Bat, Michael Fassbender depiction of the character is not bad. Sadly, the movie was terrible. Somebody recorded the whole thing, then somebody else edited the movie armed with kitchen scissors and a glue stick. Either way, there was enough there to make me curious about Harry Hole so I got the first novel. In his first ‘adventure’ Harry Hole finds himself travelling to Australia to investigate the death of a young Norwegian girl. He is immediately told, as you can imagine, that he is only there as a diplomatic measure, almost, as an observer, not to interfere with the investigation, and soon partnered with a peculiar Australian detective. The story, as it stands, is well organized and the narration, as far as the translation goes at least, is easy to follow. The descriptions of Sydney and the other locations where the story develops are vivid and feel realistic. I have to say that I was a bit surprised about the location for the first novel, though. Being a Norwegian detective, I didn’t expect his first story to be set away from home. Not so far away in any case. The character, though, is not likeable by any traditional standard. He’s nice enough at first but as the novel advances, we discover more of his past and dark side. He spends at least the last third of the story blind drunk, while figuring out hazy bits of the investigation between beer and whiskey. It does for a very confusing, unpleasant reading but, I suppose it was unpleasant for the character too so, as far as being immersed in the action, that works, I suppose. There is obviously a huge build up to who the murderer is but Nesbo sets the reader up to a huge surprise, almost as if there was a high level conspiracy. That expectation is not quite fulfilled and the big reveal is somewhat anticlimactic. It was, actually a good twist, it’s just that the identity of the killer had been so pumped up by then that, short of the Queen of England being the murderer, any other revelation would have fallen a bit flat. Yes, of course I have some criticism about the story, but I am absolutely going to read the next one, and the next one, and so on. I’m looking forward to reading about Harry Hole in his environment. Having seen The Snowman, though, I’m afraid there’ll be more falling-on-the-pavement-drunk chapters but it’s part of the… charm? Good Night and Good Reading.